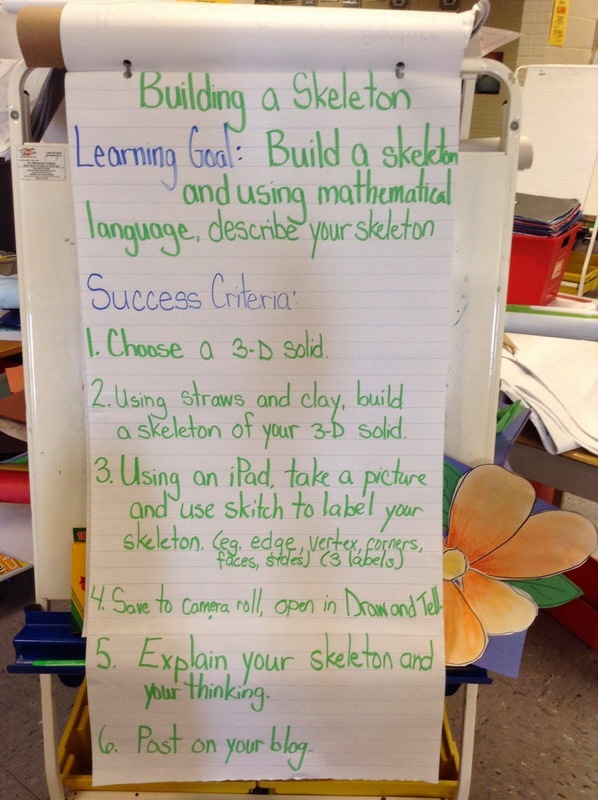 "I like doing worksheets better than using the iPads because I don't have to think as much." "On the iPads, I have to show my work, explain my thinking and make sure it is my best work because someone other than you might see it on my blog or on Twitter." "Wowza!" (I actually said that out loud to my student) she giggled and I continued thinking about what she had said. Using the iPads leads to a higher level of understanding because students have to explain their thinking with pictures, numbers, words AND their voice. If you use social media in your classroom like we do, it leads to higher quality work because there is a larger audience that may see the student's work. As I continued to think about what my student had said, I thought about the recent math activities that we had done on the iPad. My student was right. It typically takes longer to complete a task on the iPad because there are multiple tasks that need to be completed. 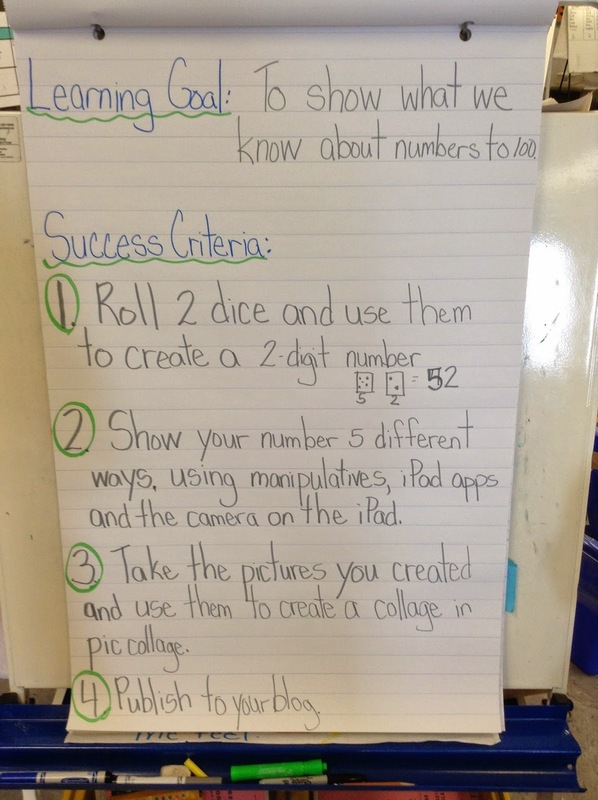 We usually do an anchor chart with the learning goals and success criteria for the task. Could I have handed out worksheets for the students on these two math concepts? Of course. Would it have taken less time? Probably. Do I think they gained a better understanding of the concepts? Definitely! I also love using these pieces for assessment purposes. These two examples were completely done independently and I can go back to their blogs and look at their work whenever I want to. So can their parents. A very powerful tool if I do say so myself. Oh, yes....not only is it deeper thinking for a student, but it requires more thought and preparation for a teacher. Net result? Authentic learning! Thanks for the thought-provoking post! I've been thinking a lot about it since I read it last night. I completely understand what you're saying here, and as someone that's given up worksheets this year, I get what your student's saying too. Here's the thing: shouldn't we always be encouraging students to think? If the worksheet is "easier," and doesn't allow this to happen, why use it? Maybe students need to see that be it a worksheet or an iPad, that this thinking and problem solving are things to celebrate. I have numbered my ipads and assigned an ipad for 2-3 students. Allows for them to share it and for someone to be accountable for things looked up on the internet. Wow! That is incredible and so true. The iPads take students places they may never have gone without them. I wish every student had access to such a great tool!